The public is cordially invited to attend a political debate on how to address the conflict. This week GI Director Gadi Baltiansky, former Palestinian official Hind Khoury, and Swiss Ambassador Jean-Daniel Ruch met with a delegation of American congresspeople and the leaders of J-Street Israel. We discussed in depth the different ways that the American Congress can help advance the two-state solution. International support for a peace agreement has played a significant role in the past; it is therefore important to maintain and strengthen American support for an an agreement. What does the conflict mean for the next generation? Bringing Israeli and Palestinian youth into a conversation about peace is a critical component of our work here at the Geneva Initiative. Director Gadi Baltiansky spoke to thirty young leaders from Mechinat Hannaton on February 11th about the Initiative's vision and work. Israel announces early elections. European countries take a stand in the United Nations about a possible American peace deal. Escalation in the West Bank. Mahmoud Abbas dissolves the Palestinian parliament. These trends lowered the Two-State Index by 1.6%. For more information, see the full report here. 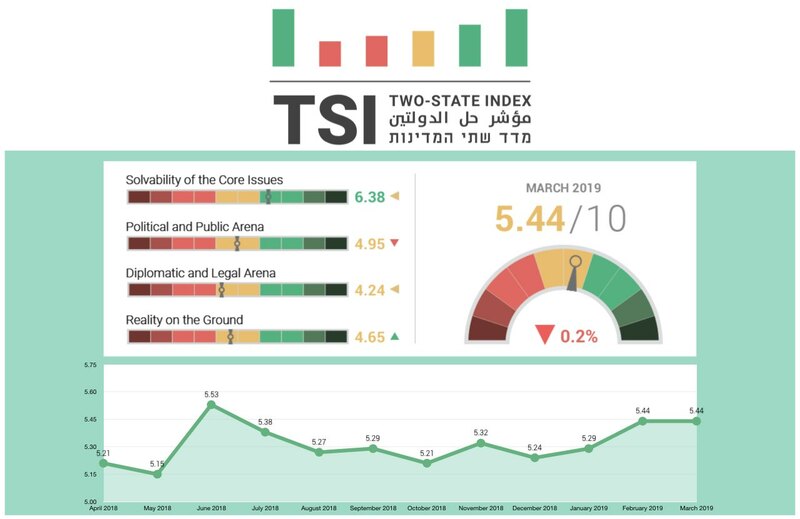 The TSI is a monthly assessment of the path to a two-state solution. Check out the website and subscribe to the newsletter here.